We are writing to you in regard to the recent Indonesian suspension of exports of coral for the ornamental fish industry. Ornamental Fish International (OFI) is the peak international trade association for the ornamental fish industry, with members from over 30 countries and accounting for up to 60% of the fish traded around the world annually. OFI is supportive of the sustainable farming and wild harvest of ornamental fish and invertebrates, including corals. This is highlighted in our OFI Charter, and we continually promote these aspirations to our membership and the wider industry (a copy of the charter has been attached to this email). This is particularly important when it comes to the collection and farming of corals. Coral reefs worldwide are under increasing pressure, and the sustainable management of this industry is very important. We support measures aimed at increasing the sustainability of harvesting and farming of corals. For more information please visit our website at www.ofish.org. We also work closely with member organisations The European Pet Organisation (EPO) and the Ornamental Aquatic Trade Organisation (OATA) that represent the interests of the pet industry in Europe and the aquatics industry in the United Kingdom, respectively. We acknowledge the need to regulate commercial activities connected with the coral reefs on Indonesia, however, we are concerned that the current export suspension in Indonesia has the potential to cause significant harm to the Indonesian export industry. Indonesia currently supplies around 50 to 60% of all the world’s ornamental corals, and the current suspension is already affecting the availability of corals in the world market. This will result in significant short-term losses for industry members around the world, threatening jobs not only in Indonesia but also in other countries. Our organisations promote the socioeconomic benefits that the ornamental fish industry provide throughout many communities in the Indo-Pacific region, including Indonesia. Our Indonesian members indicate that at least USD$35 million has been invested into coral farming in Indonesia, with the industry employing around 12,000 people. A short-term suspension will cause significant hardship for coral exporters in Indonesia; however, a longer-term suspension of months will not only lead to economic hardship, it will also result in loss of export markets that support the entire industry. There are already many new operators preparing to enter the industry in other countries to take advantage of the suspension. A protracted export suspension of even a few weeks will lead to job losses and see many of the resulting unemployed people turn back to destructive fishing practices, such as bombing reefs and the use of cyanide for catching fish. In addition to the economic benefits the trade brings into the country, we also want to highlight the direct benefits the industry provides to artisanal fisherman communities in terms of poverty alleviation, education, and livelihood sustainability. In fact, one of our members, LINI (www.lini.or.id/), based in Bali, has been operating for many years and decades and is an example of how the development and promotion of sustainable fishing practices can help promote sustainability and reef conservation. 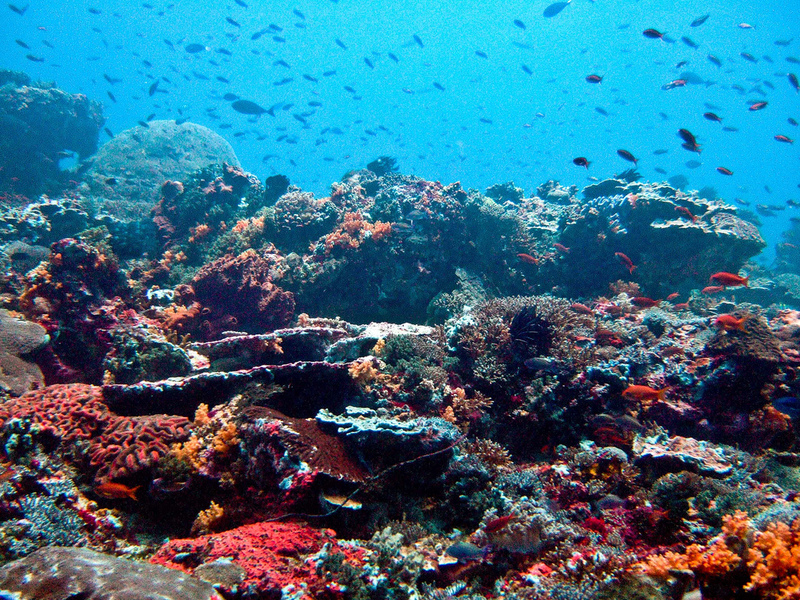 We also wish to highlight the Coral Reef Life Declaration (https://www.icriforum.org/sites/default/files/CORAL%20REEF%20LIFE%20Declaration.pdf), to which Indonesia is a signatory, that talks of the economic benefits of engaging with businesses to achieve conservation. It is notable that many of our members work with Indonesian exporters and local coral farmers to ensure the sustainability of the industry by utilising reefs sustainably and creating a long-term value for the reefs that leads to investment and employment, and in some cases supporting reef rebuilding and rehabilitation projects. I have attached two brochures that further explain the benefits of our industry. In view of the potential negative impacts on the industry OFI, we would like to see a speedy resolution to the current export suspension. We would also ask if the Indonesian government might consider an interim measure whereby exporters could continue to trade to some degree while the issues behind the ban are sorted out to protect the industry and the people employed across Indonesia. We are in constant contact with AKII (the Indonesian Coral Shell and Ornamental Fish Association) and are happy to offer support to our industry members. Please do not hesitate to contact me if our association can help in any way to find a speedy resolution to this matter. We are happy to provide further input on this issue as required by your department and work with the industry to ensure our members comply with regulatory guidelines. We would also like to organise a meeting with the Indonesian delegation to the CITES Animals Committee meeting in Geneva in July, who are authorised to talk on the matter. Our OFI delegate, Vice President Svein A. Fosså, will attend and will be happy to meet with the delegation if they are available. I look forward to hearing from you in the near future and coming up with a speedy resolution to this matter.